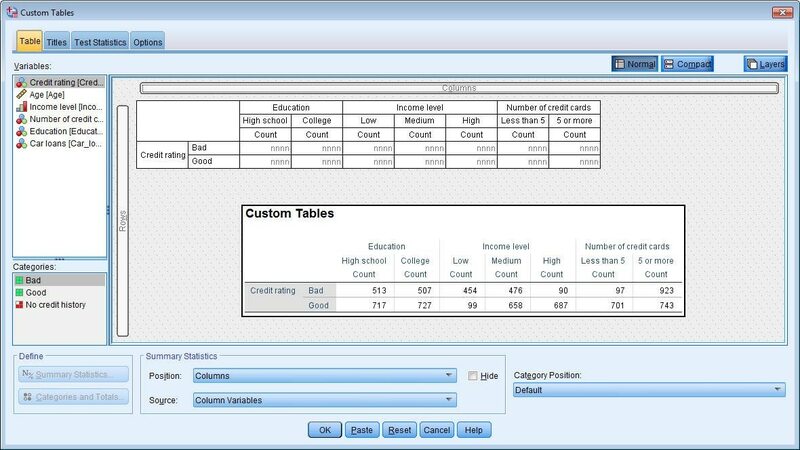 IBM® SPSS® Custom Tables enables you to summarize SPSS Statistics data, and display your analyses as presentation-quality, production ready tables. It provides analytical capabilities to help you learn from your data, and offers advanced features that allow you to build tables people can easily read and interpret. The solution lets you work with output and present survey results using nesting, stacking and multiple response categories. 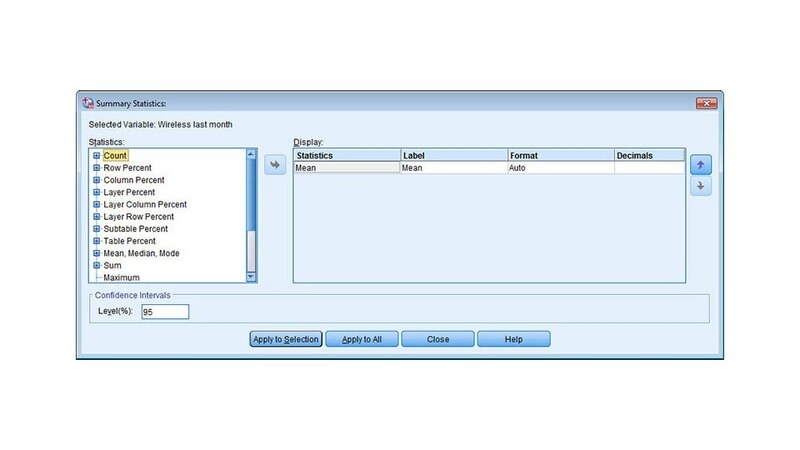 You can also manage missing values, and change labels and formats. Run Chi-square, column proportions and column means tests. Add more insight to tables by identifying differences, changes or trends in the data. 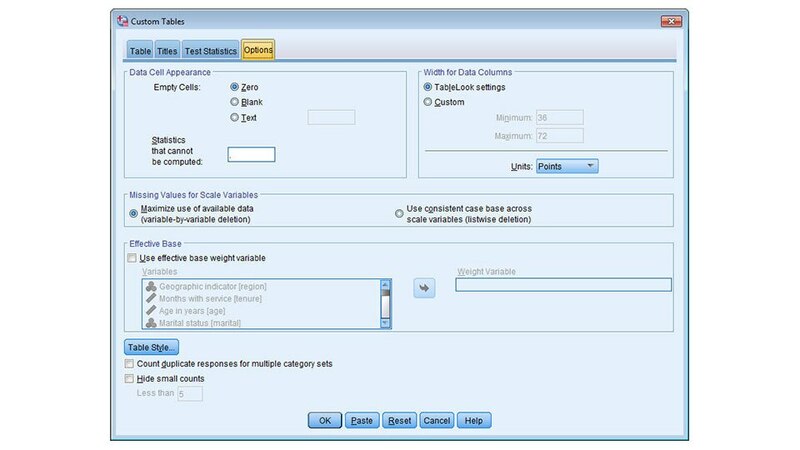 View tables as you select variables and table options to get the output you want. Exclude specific categories, display missing value cells and add subtotals to tables to clearly communicate results. Create new fields directly in output tables to perform calculations on output categories. Choose from various formats to represent multi-way information in a two-way table. Run large production jobs and complex table structures to automatically build similar tables with new data.